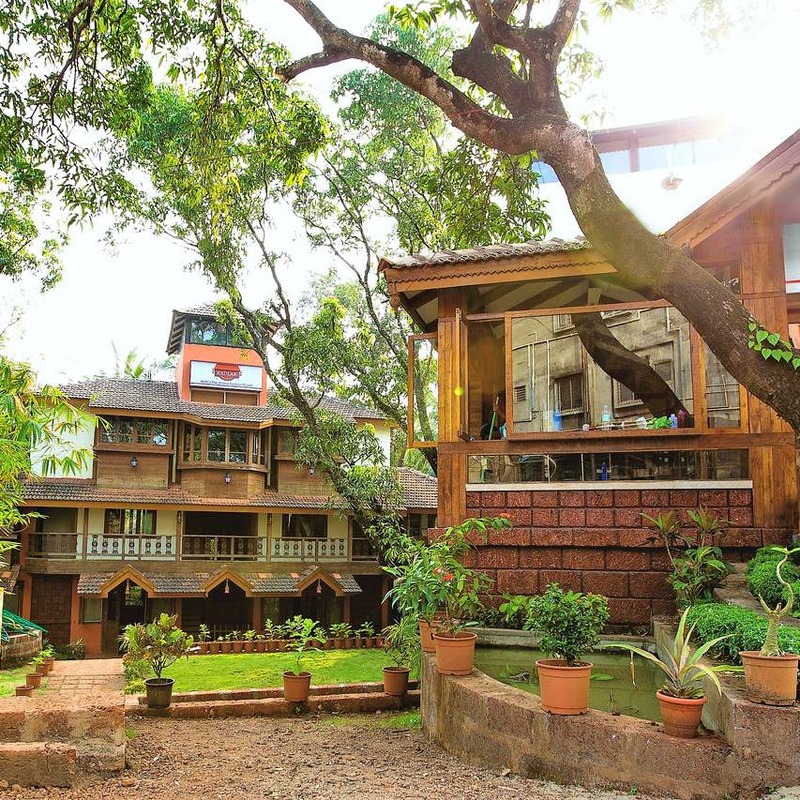 Kaular Atithis Grand Kokan Resort is a gorgeous old-school-villa-turned-into-homestay at Ganpatiphule, about seven hours from Pune. The resort gives a grand, heritage vibe with its luxurious wooden architecture, vintage furniture, royal drapes, high ceilings and polished flooring. Kaular Atithis, despite its old-school look, is quite well-equipped with modern amenities like flat-screen TV, wardrobe, kettle and more. What we really liked about the place is that its peacefully quiet and you need not worry about privacy. The place has standard double rooms, deluxe rooms and a gorgeous family suit. The price for a night usually ranges between INR 4,500 and INR 9,800, depending on what and when you book. The resort is also very close to the beach and Jaigad Fort. Although we recommend you explore Kokan and the local cuisine, the resort also offers a lavish breakfast spread, which you must definitely try. The WiFi at this resort is a tad slow. The management needs to work on that. Make sure you visit the Ganpatipule Temple market which is just half-a-kilometre from the resort.